It seems like our house is always undergoing several projects at the same time. I’ve loved updating the rooms I’ve tackled so far. It’s always exciting to see my plans become reality. Today, I thought I’d share some of my ongoing projects and plans with you. *There may be affiliate links included in this post. Read our disclosure here. 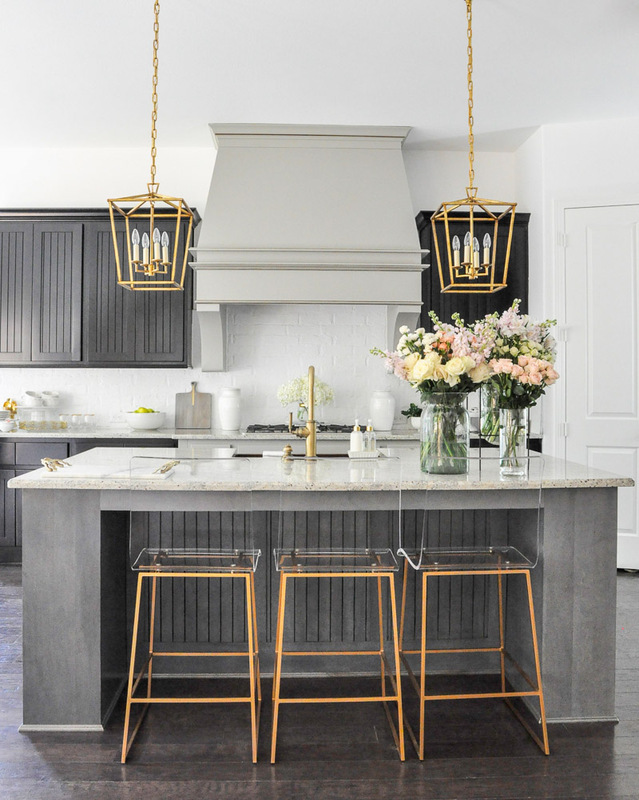 We recently replaced our light pendants, our faucet, and our counter stools, all with gorgeous gold-toned upgrades. When we completed Phase 1 of this project, I didn’t think we would be moving on to Phase 2 so quickly, but thanks to my sweet hubby and our painter’s availability, we are proceeding with some additional changes. Paint. After almost 5 years with our cabinets in darker shades, I was ready for a change. When Tony said he was ready to moved forward, I was elated. The day our painters came, I had to keep our new puppy in my bedroom, or she would have been covered with paint! When I walked out after a few hours, this is what I saw…..
It’s important to note that what you see is primer, not paint, but what a difference! I literally gasped when I saw the room (a happy gasp). The paint color will be a very light gray, not the white color of the primer, but the cabinets will be far lighter and brighter than they were. Our painters will be back this week. I can’t wait to have it done so I can share it with you! Backsplash. We used brick for our backsplash and I recently decided to paint it white. I knew we would eventually update the backsplash. 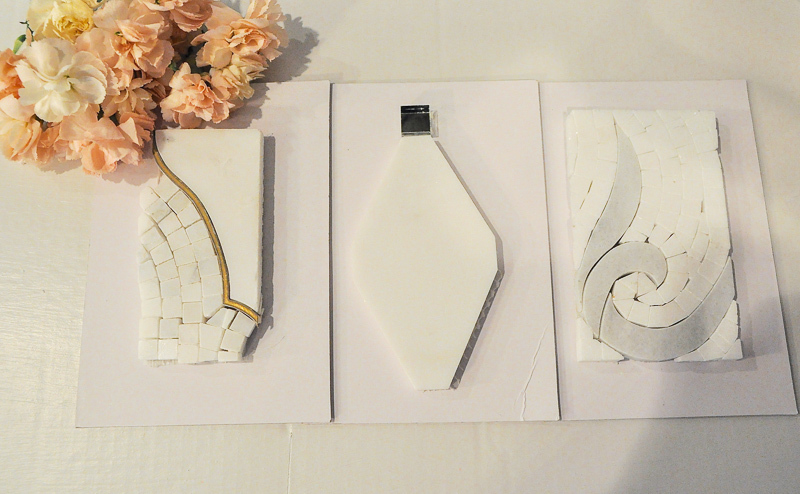 These beautiful samples are from TileBar. More 0n this soon! Hardware. I’m not sure if I will find hardware in time for Phase 2, but I plan to add it eventually. Our living room update project was something I had been planning for a long time. I love our new sofa, chairs and rug. They are so much more elegant than the ones we had before. Beyond our living room, you can see our kitchen cabinets without doors, before primer. This project took FOREVER! We removed the stone from the old fireplace surround back in September, but had a very difficult time finding a contractor willing to take on such a small job since Hurricane Harvey came through. We did not want to contribute to any delays of those families affected by this devastating storm. Therefore, we waited patiently until a contractor was available and had returned to a more normal work schedule. 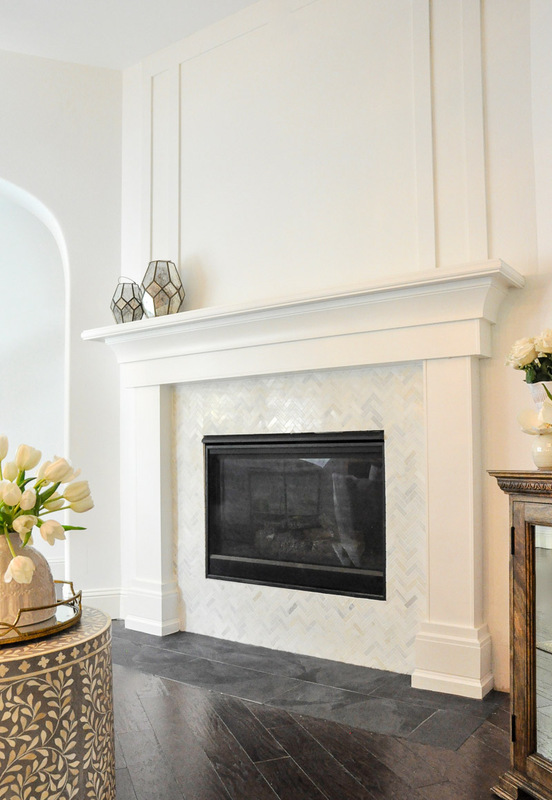 The beautiful trim molding is from the Fashion Forward Collection by Metrie. I absolutely love the new look! Above the mantel, the open area inside the new molding, was simply sanded and painted by our painter. 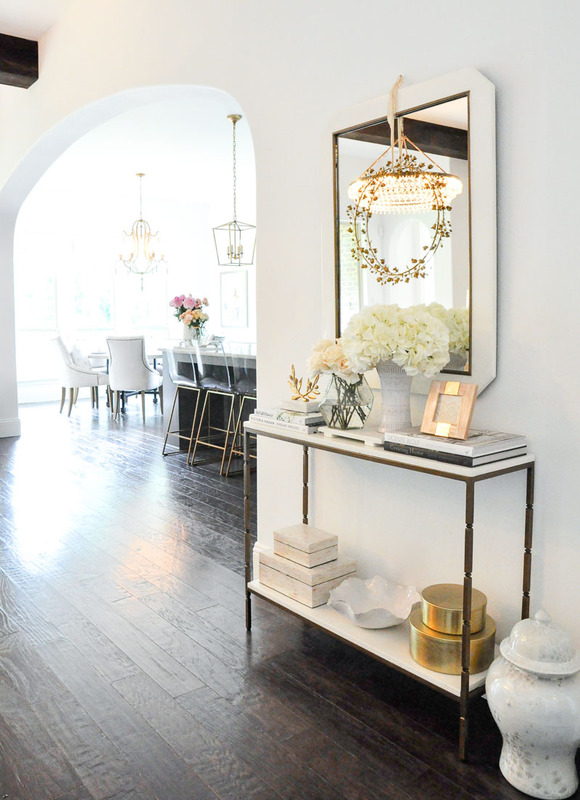 I found a mirror that is perfect for this space, but it is backordered, just my luck! For now, I plan to wait for it and when it arrives you’ll be seeing this space much more often. Honestly though, it has been nice to enjoy the simplicity and beauty of the new molding as it is today. 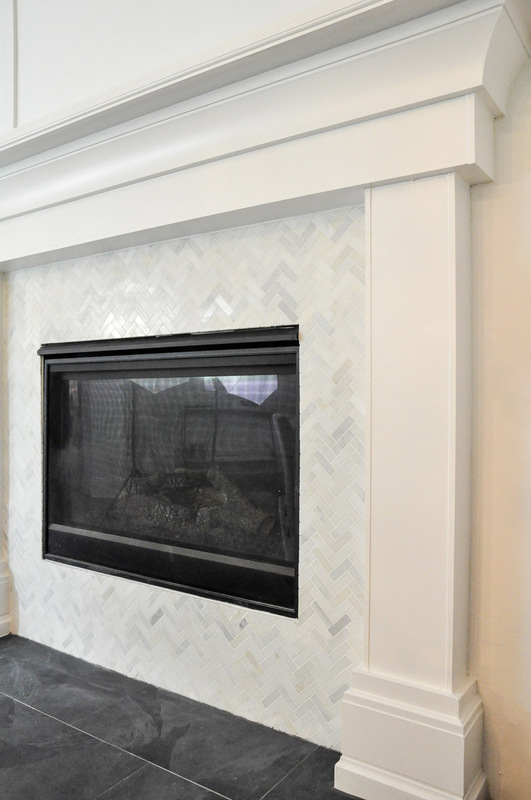 In addition to the beautiful new surround, we added herringbone tile. We also added slate to the floor. You can see the details of both below. Draperies. 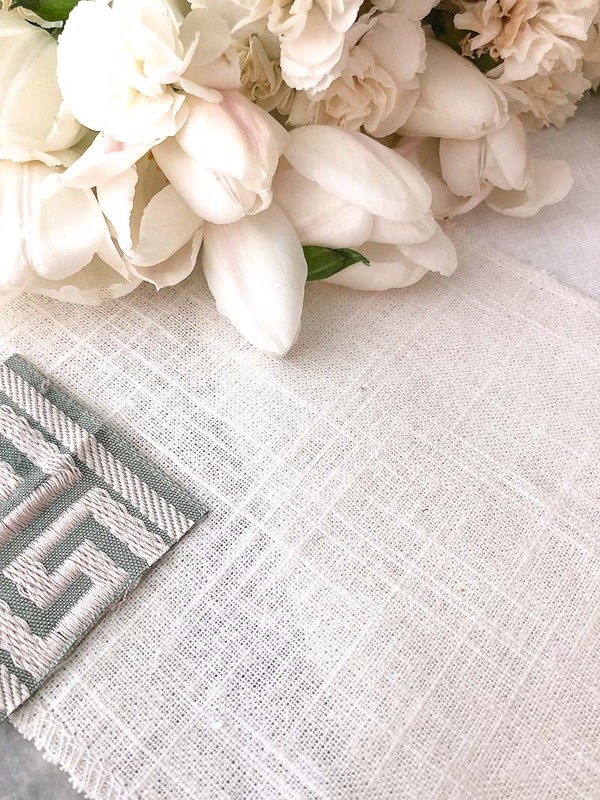 I am so excited to be adding some beautiful Martha & Ash drapery panels to our living room! 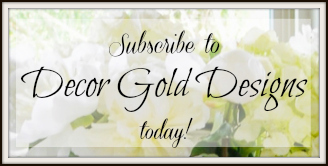 They have some gorgeous options and I am thrilled to have found them! 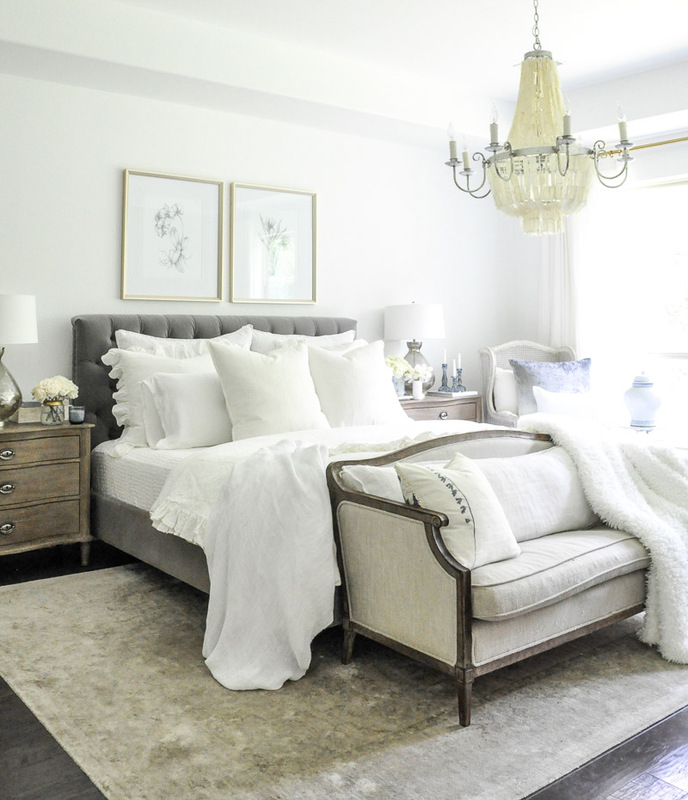 A few recent changes in our master bedroom made a big impact. Paint. If you are a regular here, you may have noticed, once we started painting our home, it became difficult to stop! 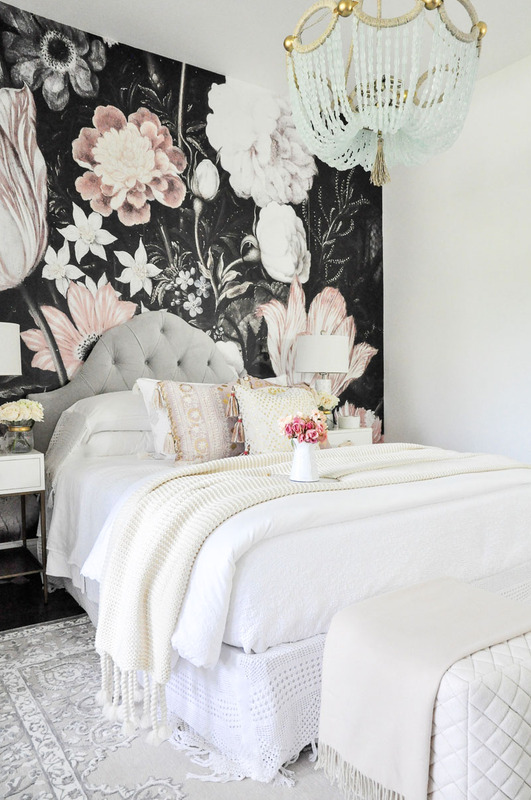 We recently had our bedroom walls painted Chantilly Lace by Benjamin Moore. Art. I loved the white bright walls as I knew I would, but the art I had above our bed no longer worked. I eventually found these pieces and I am thrilled with the change. They are an amazing value too! Bedding. 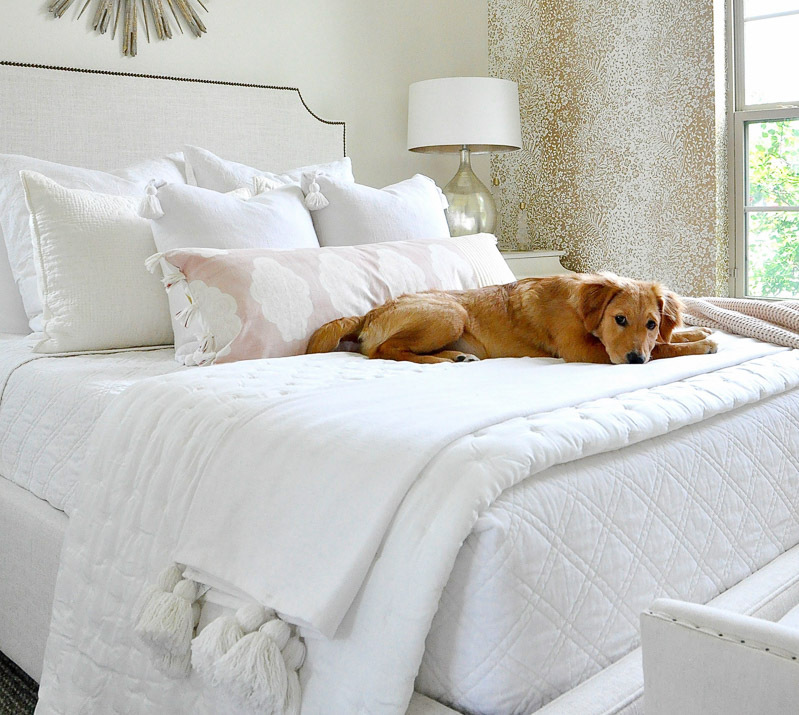 Glorious linen bedding is still always my first choice. 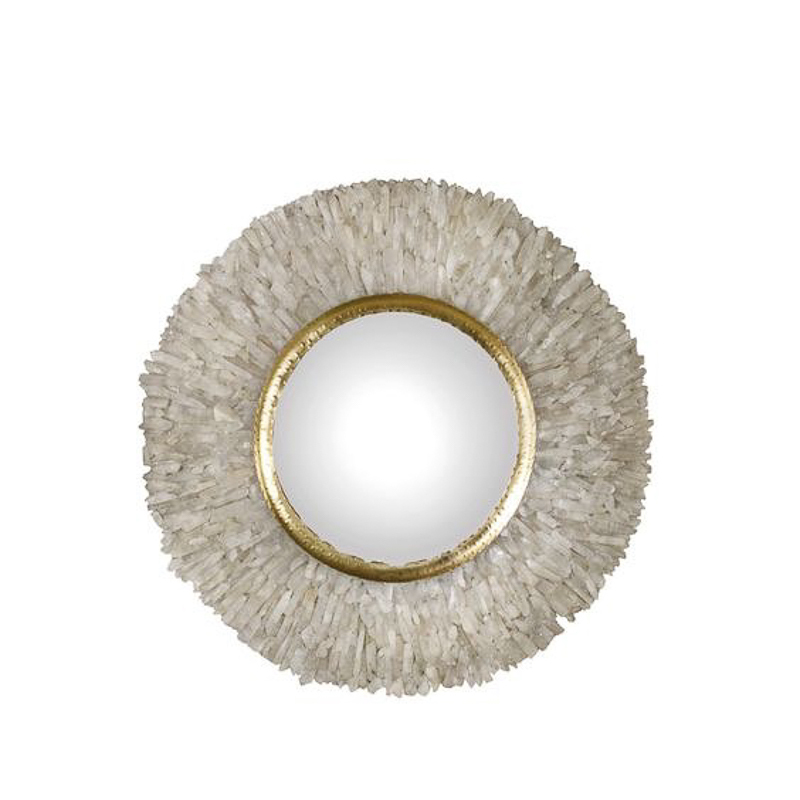 I found a few new pieces from my go-to source, Pom Pom at Home. 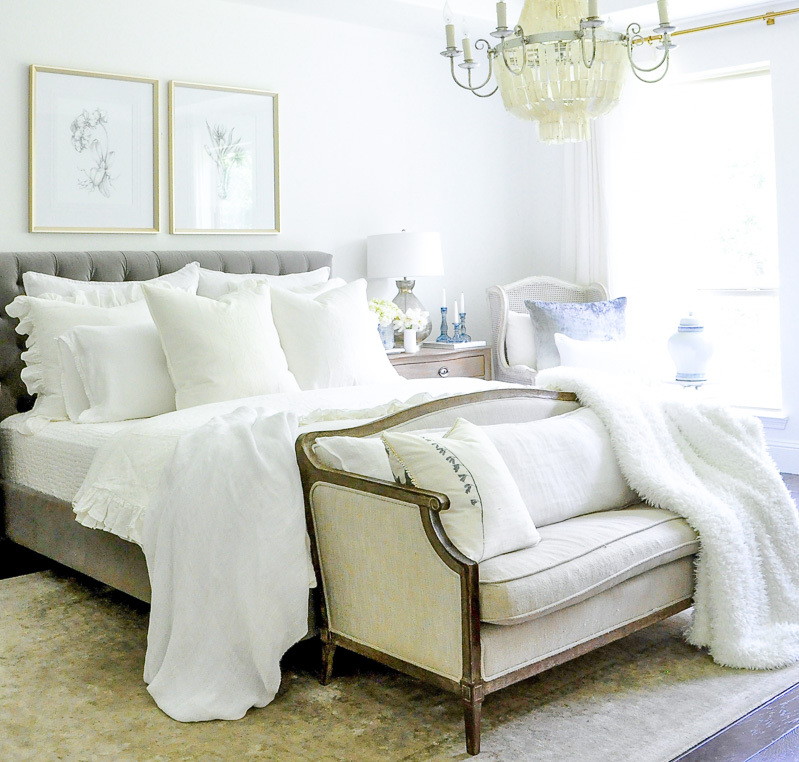 I chose a duvet with a ruffled edge, ruffled edge euro shams, and beautiful pillowcases with the tiniest ruffled edge. We actually have a long entry hall, but this part of it, across from our living room and next to our kitchen, may be my favorite part. I plan to make a few changes to the other parts of our entry hall eventually. 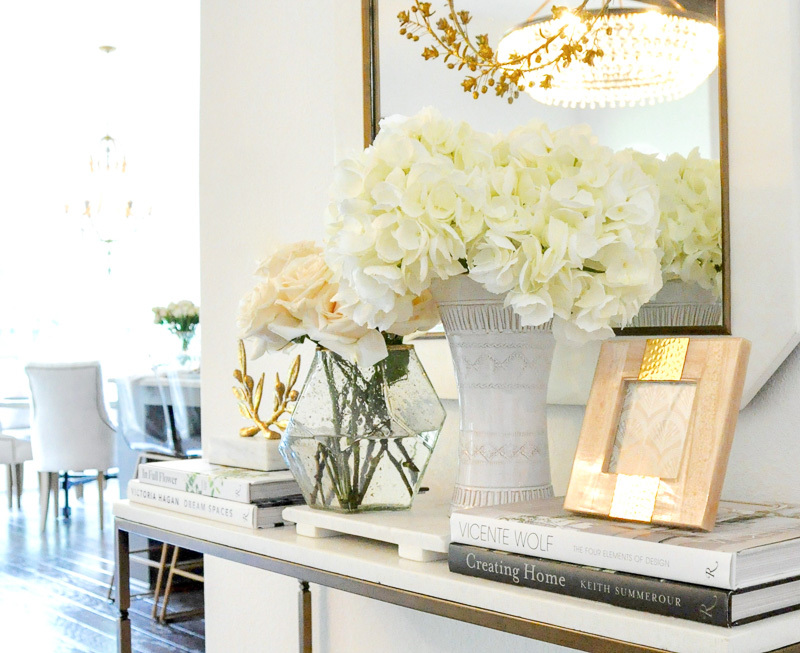 I love styling this console table. 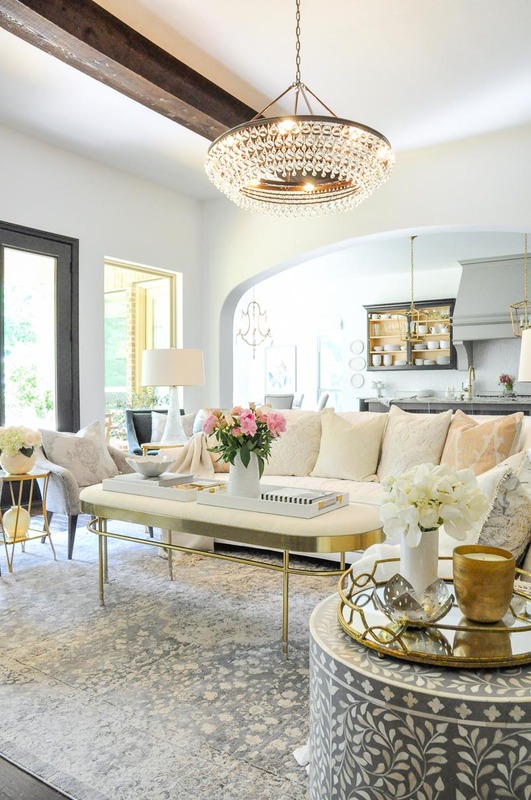 It is nice to have at least one place in your home that is easy to change or restyle frequently. 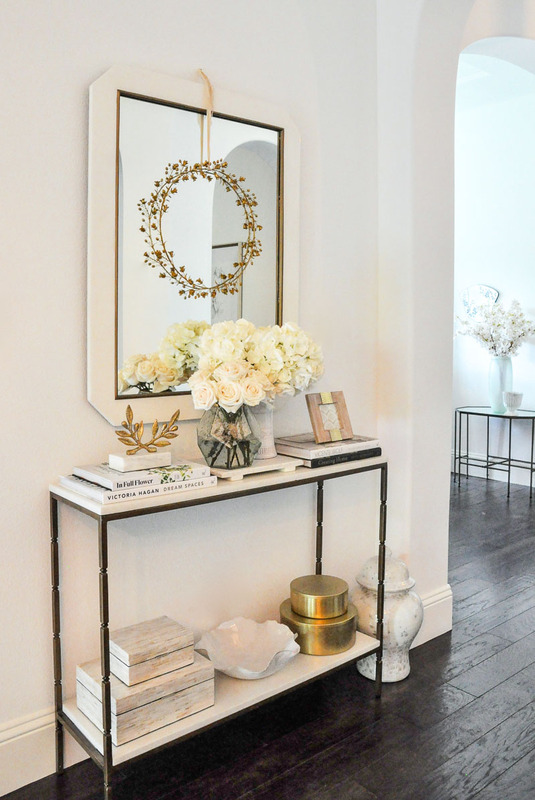 A console table like this is the perfect spot for seasonal decor. The gold canisters, wreath, and small statue help the space flow with the new gold accents in our kitchen. This bedroom was done as one of my One Room Challenge projects. I wanted to paint the walls at the time, but didn’t. Recently though, we finally had the painting done. 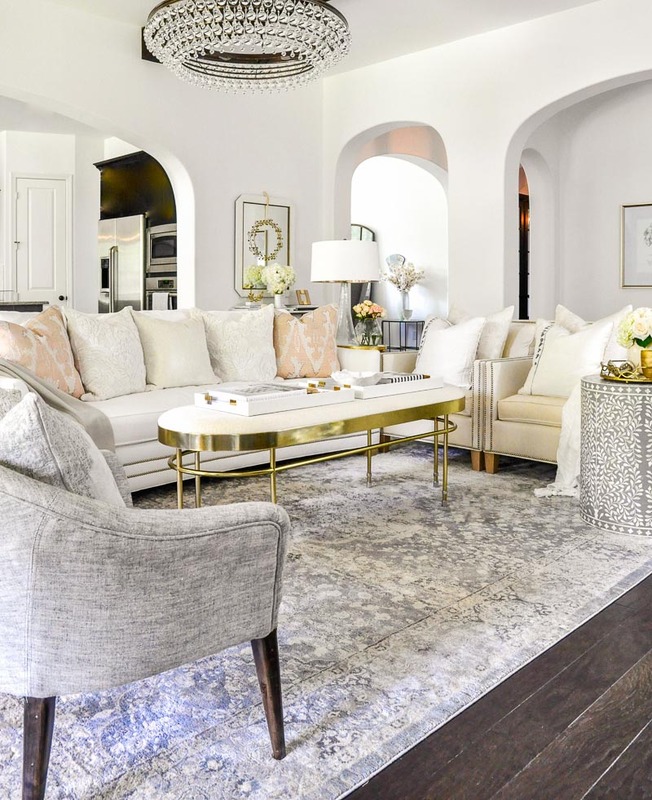 The color in this room is Simply White and I love it. I have a few things in mind, including a new bench. The window wall also got an upgrade with some beautiful gold and white wallpaper. You can see a peek of it behind Ava. Draperies. This is another space that desperately needs gorgeous Martha & Ash drapery panels. The windows are on the wallpapered wall and will be far more stunning and finished-looking with timeless panels. I have the beautiful Martha & Ash samples and will be sharing them soon! Relatively untouched since I first revealed it almost 2 years ago, this room is still a favorite. Will I make a few changes eventually? Probably, but I still love it and have no plans for changes anytime soon. 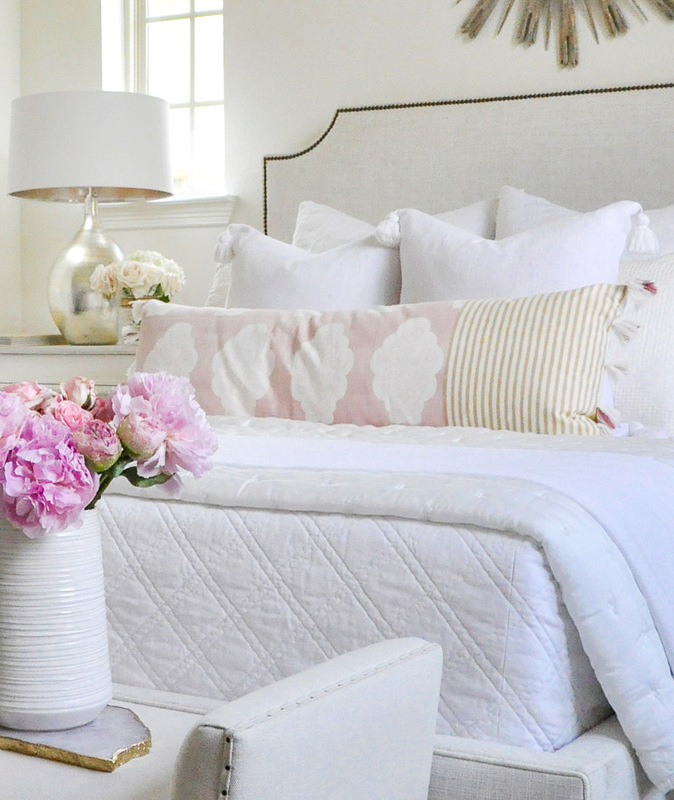 I did find a couple of small additions that I adore, a beautiful soft blush throw also by my friends at Pom Pom at Home and a pair of pretty new pillows. I had my eye on both of them for a while and I’m so glad I finally added them. Our dining room is going to be my next big project. I am hoping to tackle it next, maybe even before the holidays. Stay tuned! UPDATE: Our dining room project is underway!!! Watch for the reveal in September! You have done an unbelievable job transforming so many rooms so quickly. Every space, down to the smallest detail, is just stunning. The fireplace is especially gorgeous. What a special home you have created, Jen!! Linda, I’m so sorry I missed your comment when you left it! Your words are so kind and I am truly flattered. Thank you so much! Thank you Dana! It is a great rug. You can find a link to purchase it within my post. Under the guest room images, there are pictures of all of the sources. Simply click on the rug picture and it will take you to an online source. Wow! That is a lot to juggle, but everything is turning out so lovely! Thank you Holliday! I am definitely ready for a break after I finish these projects! Everything looks really beautiful!! 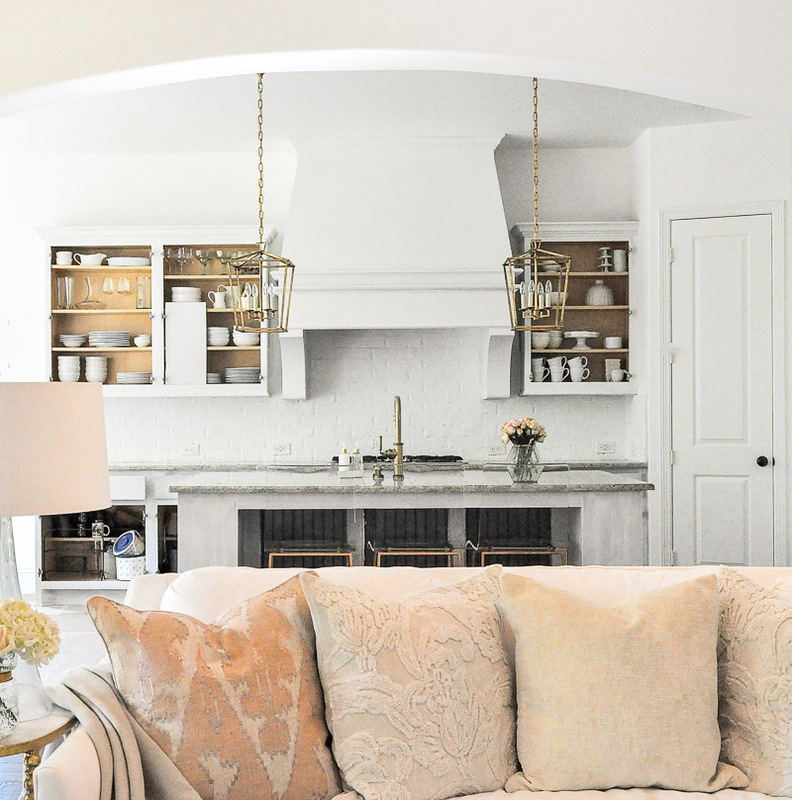 I’m obsessed with your kitchen! Oh this article is just what I needed. May I ask a couple of questions.? We are tearing down a home on a lake and rebuilding. Walls are going up right now. I had a home built in 1996 that had all the brass (gold tone) hardware…kitchen knobs, faucets, door knobs and spent the money changing it all to nickel around 2004/05. 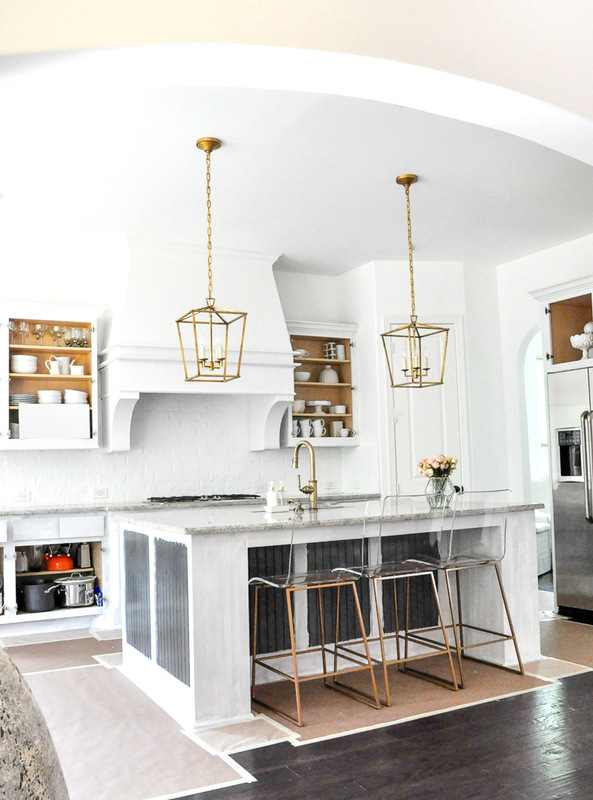 NOW, I LOVE the gold tone look and plan to do my kitchen with the gold tone hardware but I’m SO fearful it’s going to be out again soon! What are your thoughts on this.? It’s such an expense I don’t want to do the wrong thing! Also, LOVE The new fireplace. We’re having a 2 story great room and not sure to do a stone fireplace (some pinterest pics looks gorgeous) or do what you’ve done here. If done correctly, stone can be pretty but I don’t want a dated look. Would love your thoughts. Thank you in advance. Beautiful changes you’ve made! Hi Dawn, Thank you for your kind words about our changes! Of course there is no crystal ball for how long something will be in style. Brass has a timelessness, especially non-shiny brass. I can’t tell you how long it will be “all the rage”, but I think you will find that in any 8 year period (like 96-04), the most popular metal accent will change. My best advice is to go with what you love and use things you deem more trendy in moderation. 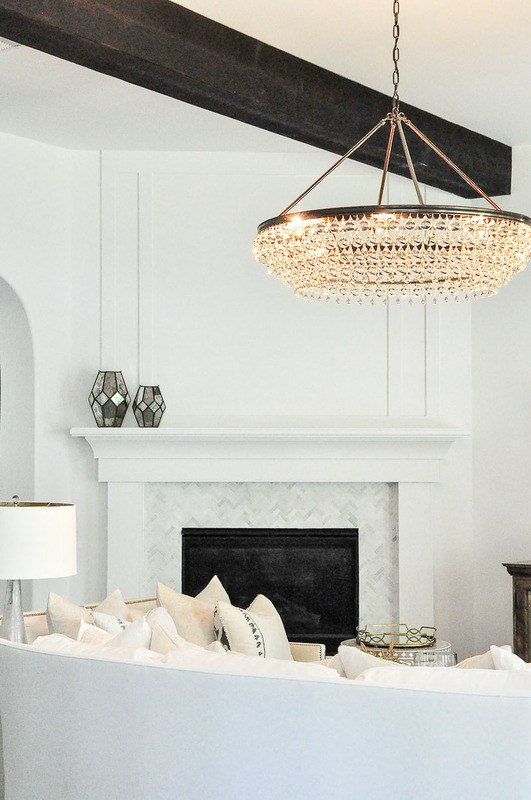 As far as the stone fireplace, it definitely could be a nice look, especially for a lake house. It is a big expense though and it is also costly to change. I would recommend hiring a local designer for a consultation on this and other big decisions. I think in doing so you will end up with a design you adore and avoid the expense of making big changes in the near future. I hope this helps! I like the large changes that you made in the various rooms……But, as you know, I really notice the small things too…..I really like the idea of the simple wreath over the mirror……Way cool. Thank you! I like the small things too…. it’s fun to find ways to restyle around here! Just wondering what type of flooring you have and it obviously wears well with dogs. Your house looks amazing! Lots of great ideas! Hi Sophie, Thanks so much! We purposely got a hand-scraped look so it would look good with pet scratches, lol! Unfortunately though, it has been discontinued. Hope you can find something similar!